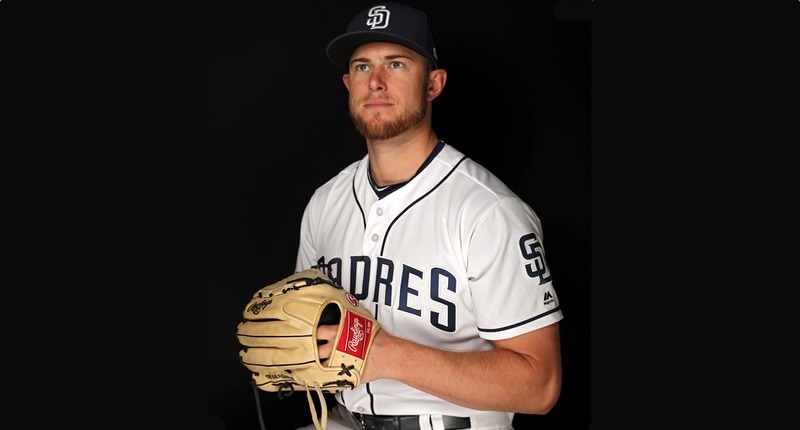 In the relative roster madness begot by yesterday’s deadline, you might’ve missed the Cubs’ acquisition of Rowan Wick, a 26-year-old right-handed reliever from the Padres. 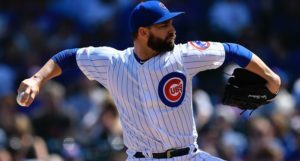 Wick isn’t the most exciting pickup of all time – he was squeezed out of San Diego for roster-related reasons, after all – but he could be a good up-and-down reliever for the Cubs next season, which is something we know they’ll need. So let’s take a second and get to know him a little better, shall we? 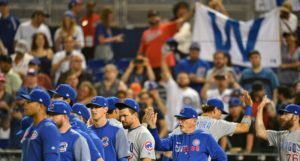 Although he made his Major League debut as a Padre last season, his trade to the Cubs is not his first brush with the NL Central. 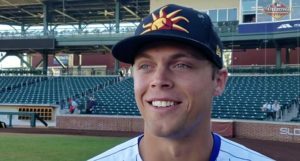 The Brewers originally drafted Wick back in 2010, but he turned them down in favor of college and was eventually re-drafted by the Cardinals two years later. Interestingly, he began his career as a catcher (2012-2013) before switching to the outfield (2014-2015), before being transitioned into a pitcher mid-way through the 2015 season. All of which means that he didn’t have his first full season as a pitcher until 2016. And you know what? It wasn’t half-bad. In fact, it was pretty impressive! At High-A, this former catcher-turned-outfielder-turned pitcher delivered a 1.09 ERA (0.98 FIP) over 24.2 innings. That earned him a promotion to Double-A half-way through the year, where he posted a 4.12 ERA (4.10 FIP) in 19.2 innings. Again, remember: this was this dude’s FIRST pro season as a pitcher. Putting up a 4.10 ERA at Double-A under those circumstances is legit. During his second time at Double-A (2017), Wick got far better results (2.08 ERA), despite similar peripherals, so the Cardinals bumped him up again to Triple-A. But that’s where things got a little derailed (5.40 ERA, 4.68 FIP). So, last February, the Cardinals placed Wick on waivers and the Padres claimed him, sending him back to Double-A (where he dominated again with a 3.16 ERA and 2.78 FIP) before being promoted to Triple-A half-way though this past season. Not unlike his experiences in Double-A, Wick’s second attempt at Triple-A went a lot better than the first in terms of excellent results (1.99) but weaker peripherals. 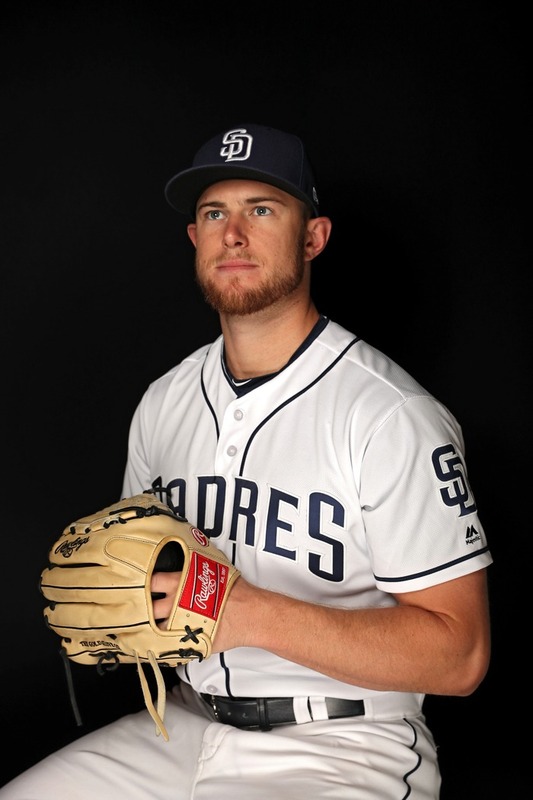 In any case, the Padres promoted him to the big leagues, where his excellent 2.6% walk rate wasn’t enough to save him from too much hard contact and not enough ground balls. It was only a 8.1 inning sample, though, and his 3.40 FIP paints a far different picture than his 6.48 ERA. No matter which way you slice it, though, that sample is far too small to conclude anything serious. And his story is always going to be more than the stats, anyway. 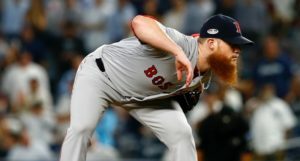 As a former non-pitcher, Wick has very low mileage on his arm and probably more remaining upside than you’re used to seeing with a 26-year-old relief-only minor leaguer because of his late start and the learning curve (just refer back to his results in his second stop at each level for something to dream on). Moreover, while it’s hard to be sure, Wick strikes me as the sort of pitcher who’s going to be more about contact management than anything else. We can’t see how much hard or soft contact he was allowing in the Minors, but his groundball rate was excellent at Triple-A with the Cardinals (51.1%), Double-A with the Padres (56.5%), and Triple-A with the Padres (47.5%). And given that his ERA often far outperforms his FIP, I’m betting there’s some major soft contact in there. And, hey, that 31.3% strikeout rate at Double-A last season isn’t nothing, even if it’s not what we should expect in the Majors. So with all that in mind, hey, sure, I really like this pickup for the Cubs – at least as much as you can like a no-risk, medium-reward, right-handed reliever, who’ll primary be stashed away at Triple-A Iowa and used only as extreme depth until he proves himself otherwise. But that’s a lot! Oh, and maybe he can pinch-hit from time to time!